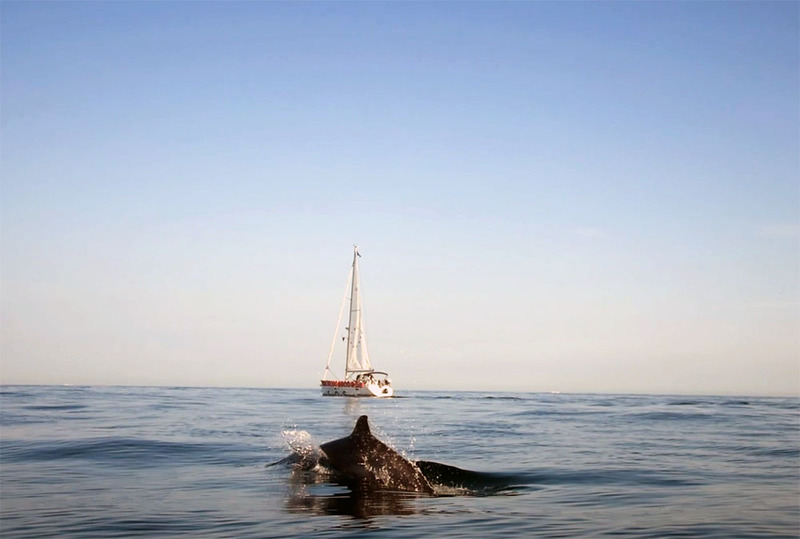 “I'ts the set of the sail that decides the goal, and not the storm of life.” But where are we heading today? Tom Herck’s interactive artwork Euro Vision (2018) explores whether our sails are still set for Europe, or if we might have lost our Eurovision. The theme of Europe is very important to everyone on this continent. Utopian, eclectic and eccentric, Eurovision songfestival was set up to unite cultures. As a war-torn Europe was rebuilding itself in the 1950s, the European Broadcasting Union set up a committee to search for ways of bringing together the countries around a ‘light entertainment programme’. This year’s Eurovision spectacle, hosted by Portugal in May will be held with a mixed feeling. The European spirit has changed and the former nostalgia is lacking. The good ship Europe appears to be sinking. Since last century, the EU has been seeking a harmonization of migration policy, now to have to admit its powerlessness. And it is not only the refugee crisis that the EU is struggling with, several crises are working together at the same time. It is more than ever 'each man for himself' within his own borders. The Union is therefore less and less a union, it is a single market without much political cohesion. The EU motto In varietate concordia (Latin for ‘united in diversity’) means that, via the EU, Europeans are united in working together for peace and prosperity. This amounts to the embracement of multiculturalism as the goal of European integration -as opposed to the goal of an emerging European identity which had been advocated in the 1990s-. To demonstrate the motto doesn’t correspond to the current mindset, Tom Herck created a new emblem with the motto 'divided in similarity', flanked by his own logo on both sides. Euro Vision is a concept and interactive artwork to literally put some wind behind Europe’s sails and throw a lifebuoy to the current crisis. Herck’s project is not necessarily pro or anti-European, but serves as an eye-opener (hence the eye in the Euro Vision title logo), to raise awareness of the declining European situation. The satiric words ‘the future was yesterday’ on the lower part of the boat spring from the title of the historical novel based on the life of Jerónimo de Aguilar, a Franciscan friar and explorer who was shipwrecked in 1520 on the coast of Yucatan, and spent nine years there in a Mayan village. The artist often makes socially related works. These can be critical or constructive. The vast majority agrees on one thing, these works allow the public to stand still and provide a dialogue. That is what the artist wants to achieve: a dialogue between people. The power of art and symbols can not be underestimated. In his 2017 Holy Cow project in Kuttekoven Borgloon, he repeatedly received the international news, even from far beyond European borders. The medium of the Euro Vision project is a two masted, 42-foot sailing ship with a height of 18 meters. This sailboat is dressed to perform at different locations in Europe for one year . The plan as it stands now is the following. 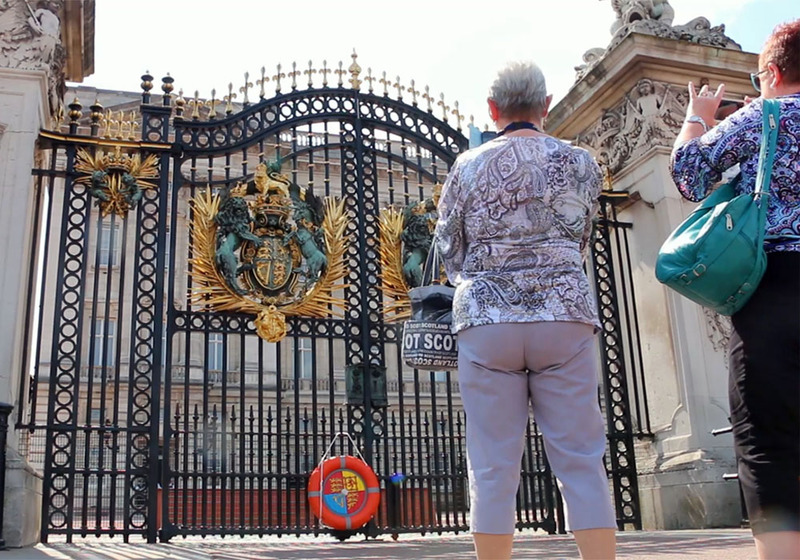 The boat will head to London, this departure is foreseen from July 5, 2018. 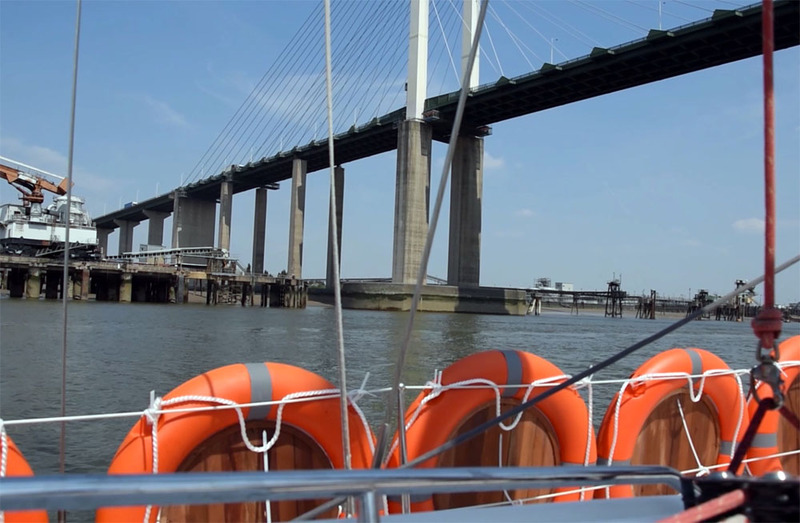 The ultimate intention is for the boat to sail along the legendary River Thames. In his usual sarcastic manner, the artist transforms the yacht into a Viking ship. As a contemporary trademark of wealth, luxury and abundance, a yacht highlights the growing gap between rich and poor for the EU citizens. In an earlier period the Vikings placed their shields along the outside of the ship as protection. A colourful phenomenon demonstrating their identity to impress friend and foe, as well as having a practical purpose to protect the crew against incoming spears and arrows. 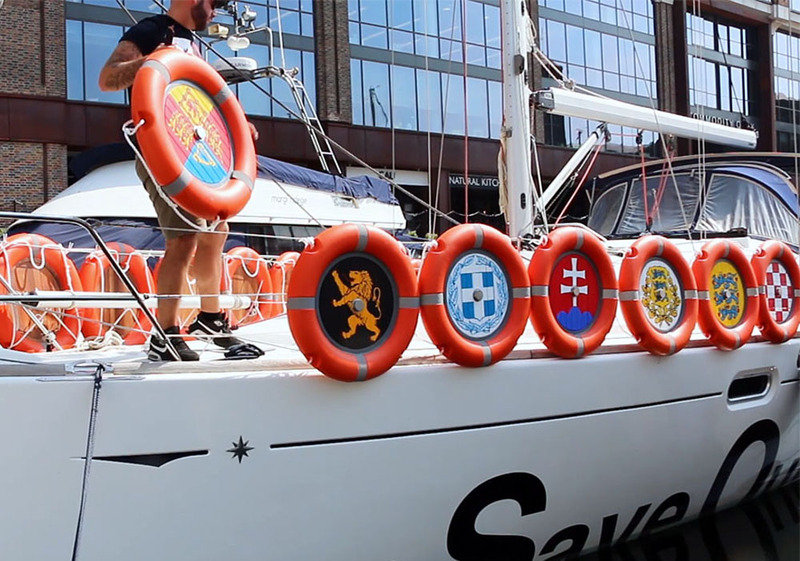 Herck replaces the Viking shields by 28 contemporary lifebuoys, with traditional woodcraft shields placed inside. 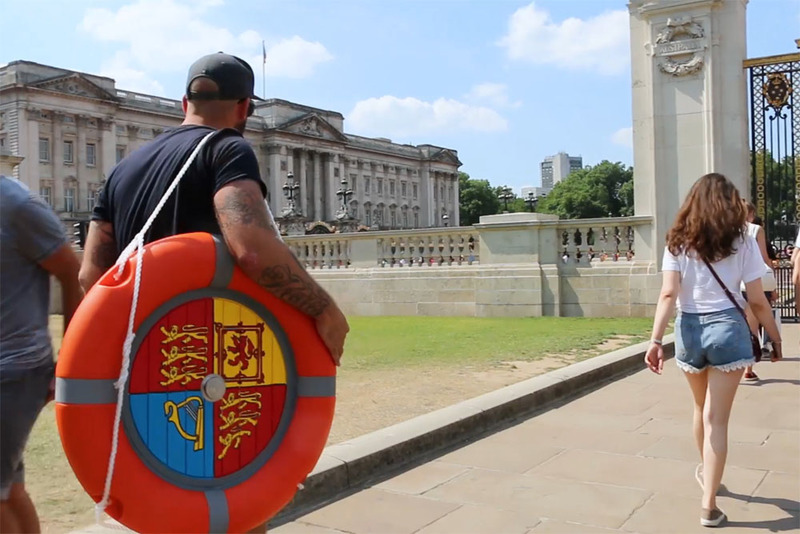 Whereas the Viking shield formed a powerful protection symbol, the lifebuoy, launched by Tom as a 21st century protection symbol, provides help in times of despair. The buoy forms a clear reference to the current European refugee problem. Its modern plastic production brings a conceptual contrast between old and new, characteristic of the work of the artist and a metaphor for the old and new Europe. On the shields a coat of arms of every country of the EU is painted by hand. The text ‘Save Our Stars’ will be visible right above the sea surface as a metaphor to the well-known slogan ‘S.O.S.’ or ‘Save Our Souls’. If one sees the ship sailing, one sees the SOS very clearly, the ‘ave ur tars’ is under the sea water. Only when the ship sails sharply to the wind, the text becomes clear. This serves as a metaphor that asks for salvation, as in this case Europe sometimes does for a part of the population. From a far distance, the maritime flag in European colours might be mistaken for the European flag, but Tom replaced the logo by his own emblem. 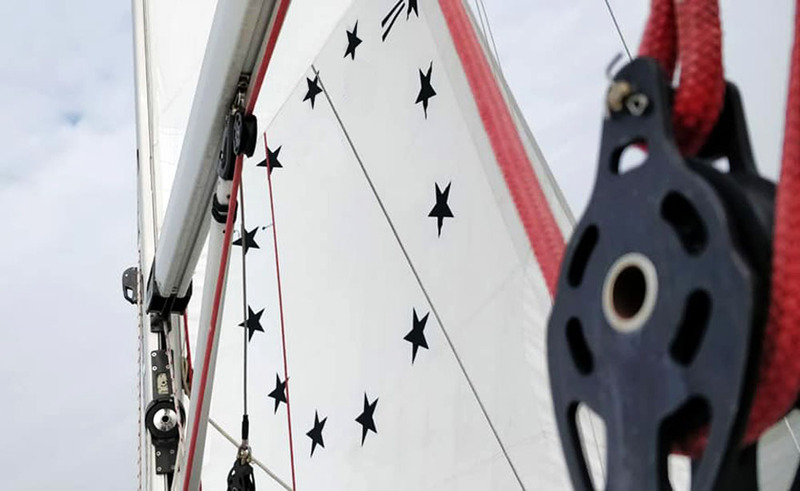 When we view the sails, we can distinguish the 12 European stars twice, including one shooting star. The shooting star is the artist’s symbol for England. On 23 June 2016, Britain voted to leave the European Union, a decision that has rocked Europe and left its future uncertain. No country has ever left the European Union before. After decades of strengthening European integration and independence, Brexit charted a new course of separation and autonomy. Shortly after Brexit, people on social media started posting pictures of the EU flag with one star missing. The shooting star on the sails and title logo is an animated reminder from the artist of how commentary can become confused with reality, as happens so often on social media. One change that won’t happen, is the removal -or alteration- of a star from the European Union flag, as the stars on the flag don’t actually represent the number of countries in the union. As a hospitable European, Tom Herck wants to give back the life buoy on which the British shield can be found, and wish them success, whatever direction they may sail in these uncertain times on turbulent waters.